One of the smallest ducks the Bufflehead (Bucephala albeola) is very energetic in its feeding. They eat aquatic insects, mollusks and small amounts of plant material. It forages mostly underwater. Less sociable than most ducks, seen in pairs or small groups, almost never in large flocks. 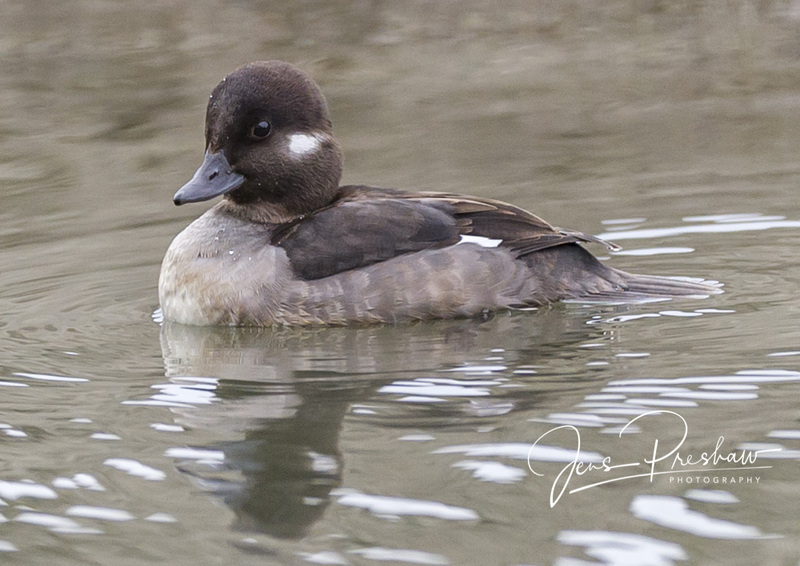 The Bufflehead in the photo below is a female. Note the auricular white patch. She was repeatedly diving in front of me along the riverbank. Click on the photo to see a larger version.